The Green Saints of St. Patrick’s Crawford invited representatives of Edith Stephens Nature Reserve to their greenstall at the annual bazaar. 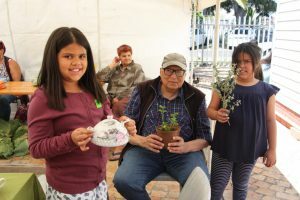 The audience were taught the benefits of indigenous medicinal plants and how to propogate the plants. The children thoroughly enjoyed it. Plants and booklets were for sale.